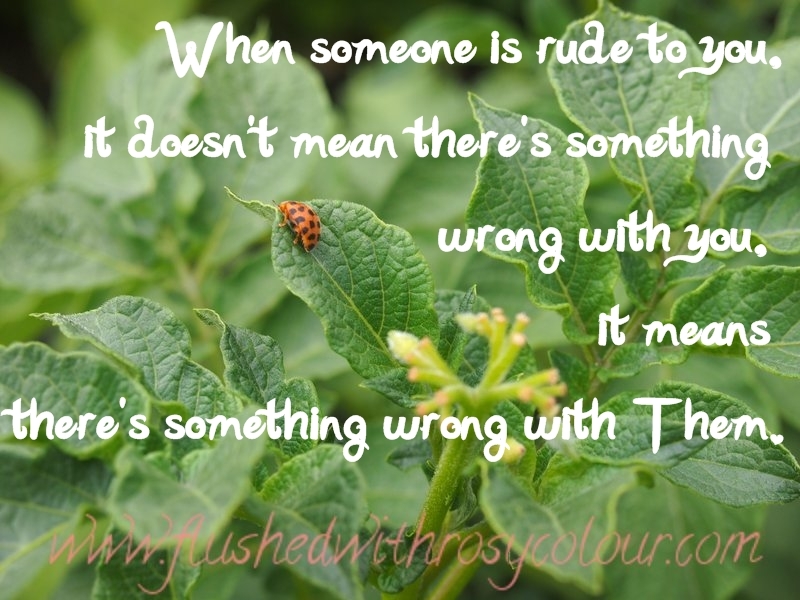 This evening I'm having another 'issue' with a particularly rude person that occasionally appears in my life. Do you have one of those? Thankfully I've managed to keep my exposure to this horrid individual to a bare minimum, unfortunately I'm unable to rule it out completely! I made this quote to help myself remember that when this person is so Very Rude to me, it shouldn't shake my self-concept. It really is Their problem, not mine!